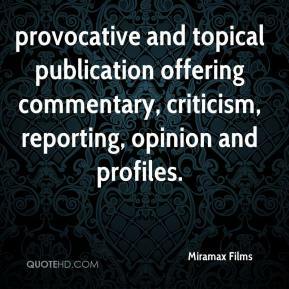 provocative and topical publication offering commentary, criticism, reporting, opinion and profiles. 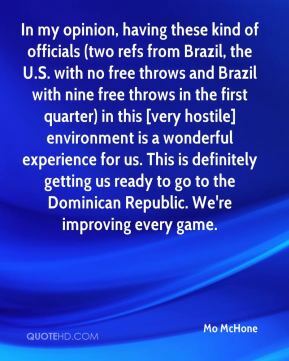 In my opinion, having these kind of officials (two refs from Brazil, the U.S. with no free throws and Brazil with nine free throws in the first quarter) in this [very hostile] environment is a wonderful experience for us. This is definitely getting us ready to go to the Dominican Republic. We're improving every game. 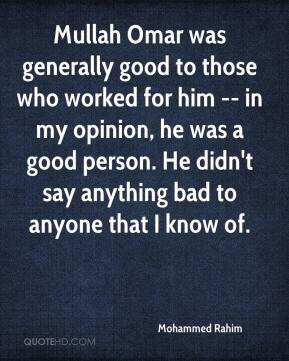 Mullah Omar was generally good to those who worked for him -- in my opinion, he was a good person. He didn't say anything bad to anyone that I know of. 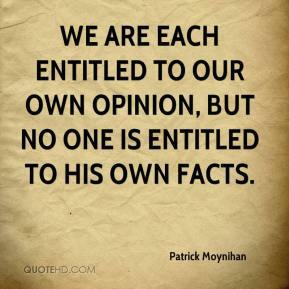 I think that statement is reflective of where he is in life, and an opinion. 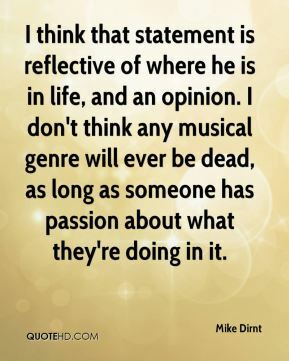 I don't think any musical genre will ever be dead, as long as someone has passion about what they're doing in it. 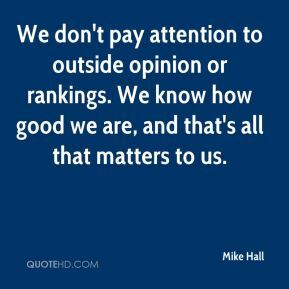 We don't pay attention to outside opinion or rankings. We know how good we are, and that's all that matters to us. 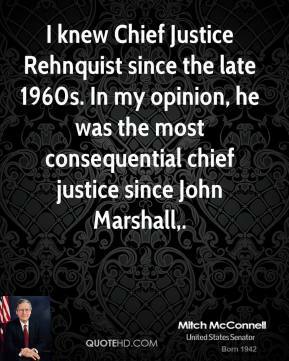 I knew Chief Justice Rehnquist since the late 1960s. In my opinion, he was the most consequential chief justice since John Marshall. This is not communism here. 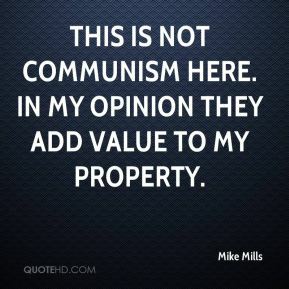 In my opinion they add value to my property. 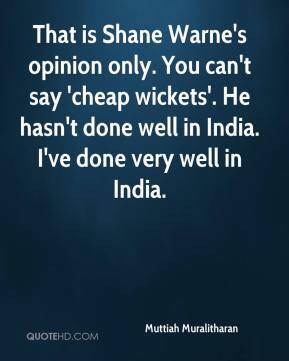 That is Shane Warne's opinion only. You can't say 'cheap wickets'. He hasn't done well in India. I've done very well in India. 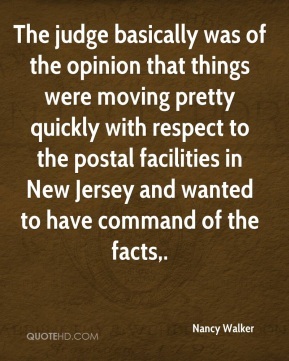 The judge basically was of the opinion that things were moving pretty quickly with respect to the postal facilities in New Jersey and wanted to have command of the facts. 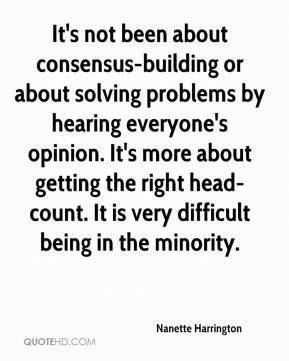 It's not been about consensus-building or about solving problems by hearing everyone's opinion. It's more about getting the right head-count. It is very difficult being in the minority. 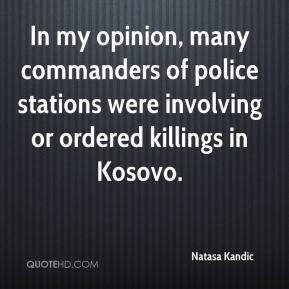 In my opinion, many commanders of police stations were involving or ordered killings in Kosovo. 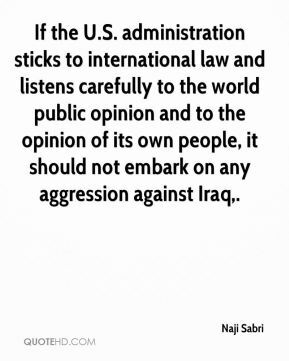 If the U.S. administration sticks to international law and listens carefully to the world public opinion and to the opinion of its own people, it should not embark on any aggression against Iraq. 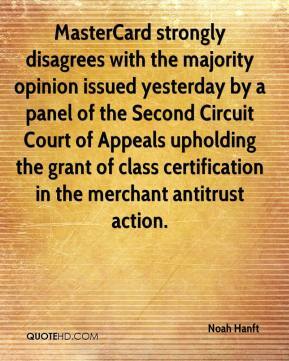 MasterCard strongly disagrees with the majority opinion issued yesterday by a panel of the Second Circuit Court of Appeals upholding the grant of class certification in the merchant antitrust action. Everybody's an expert, and everybody's got an opinion. 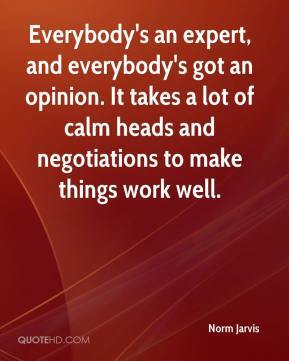 It takes a lot of calm heads and negotiations to make things work well. 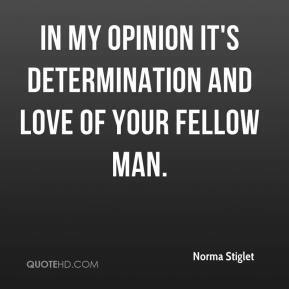 In my opinion it's determination and love of your fellow man. And it's my opinion, and that's only my opinion, you are a lunatic. 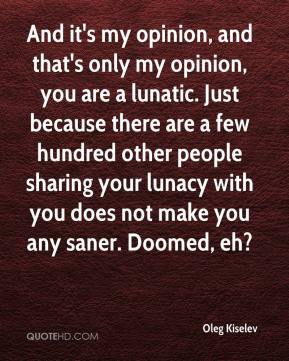 Just because there are a few hundred other people sharing your lunacy with you does not make you any saner. Doomed, eh? I am sorry that I shattered my reputation. 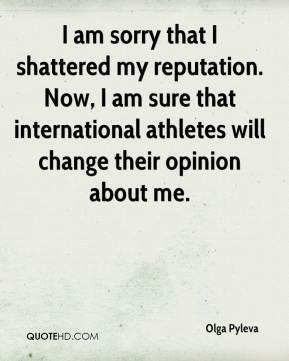 Now, I am sure that international athletes will change their opinion about me. 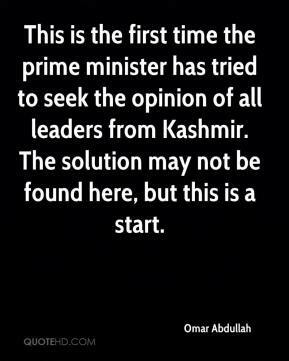 This is the first time the prime minister has tried to seek the opinion of all leaders from Kashmir. The solution may not be found here, but this is a start. 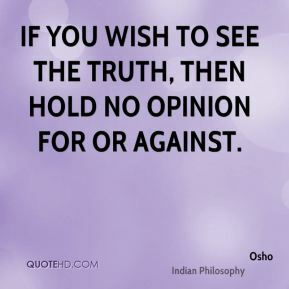 We know that the majority of your people want this war to end and opinion polls show the Americans do not want to fight the Muslims on Muslim land, nor do they want Muslims to fight them on their land. 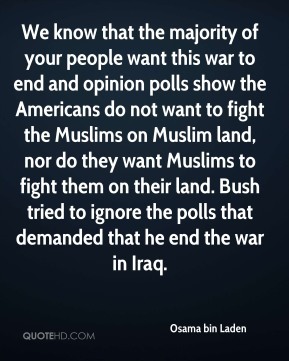 Bush tried to ignore the polls that demanded that he end the war in Iraq. But that's just my opinion. 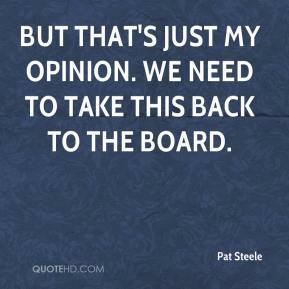 We need to take this back to the board. 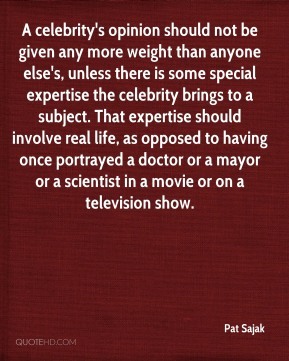 A celebrity's opinion should not be given any more weight than anyone else's, unless there is some special expertise the celebrity brings to a subject. 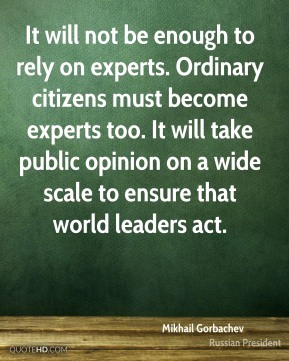 That expertise should involve real life, as opposed to having once portrayed a doctor or a mayor or a scientist in a movie or on a television show. 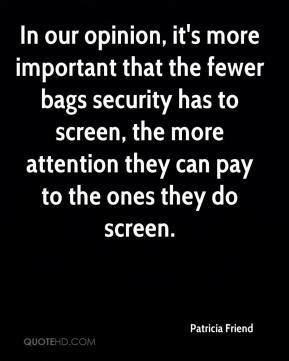 In our opinion, it's more important that the fewer bags security has to screen, the more attention they can pay to the ones they do screen.